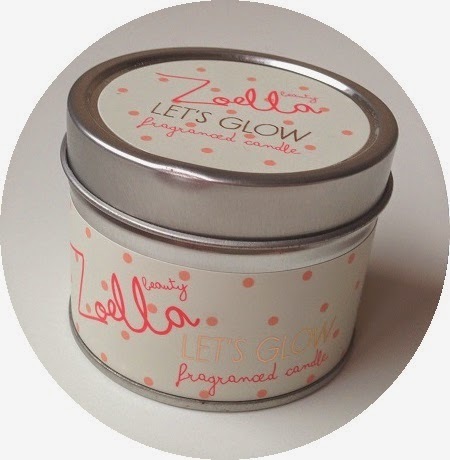 I really like Zoe Sugg and therefore couldn’t resist buying almost everything her Zoella Beauty collection has to offer. I placed two separate orders on Feelunique and they both took forever to arrive. But I am not complaining since shipping was free. It also took me a while to work my way through testing all the products before doing a proper review on them. I had a very hard time opening the bottle which is sealed with some aluminum foil thing that is very hard to get off... But when you come to the actual produkt it is worth the struggle. This is the first shower cream I ever had looks beautiful itself. The actual gel/cream has a very pale pink color with a slight shimmer. Thankfully the shimmer doesn’t stay on your body when you shower. The smell is very fresh and maybe even bloomy. I like it a lot because it is not too overwhelming and not sweet. 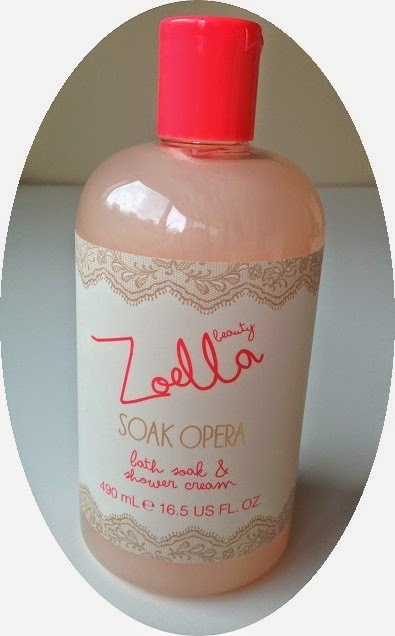 Also the name “soak opera” hello!? Winner! 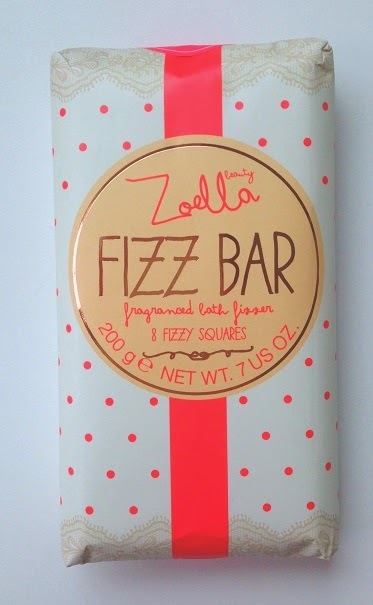 As expected from Zoe (the Lush addict) there are more bathing products. Again same smell as the rest of the line. I have never used a fizz bar before so I didn’t know what to expect. 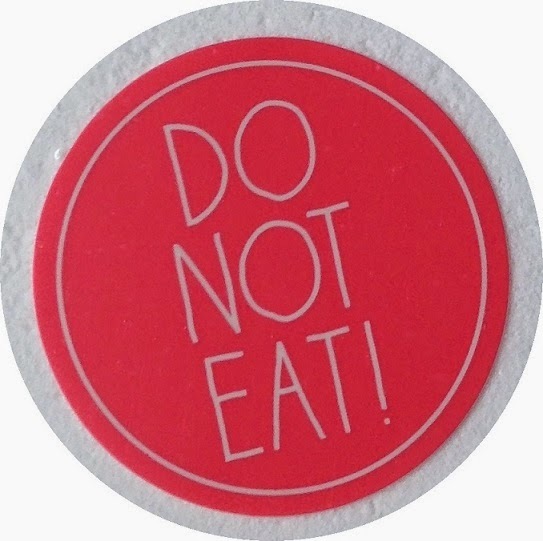 What made me laugh though was the “do not eat” sticker on the fizz bar itself. Yes it smells really good but not like something I would want to eat. Not like pretty much any Lush product I own… But I guess you can never be too careful. Again cute name! Well done, Zoe (and her team)! The fragrance smells exactly like the shower cream. Well, the entire line smells the same. But can we talk about the bottle? I have to admit I bought this one just to have the bottle. The only thing that would have kept me from buying it would have been an awful smell. But I bought the shower cream before the body mist, so I knew what it would smell like. It is, as I already said, a very light and fresh smell that would also be ok for young teenagers to wear. Who I guess they are the main audience. LOVE! I am thinking about getting the guinea pig beauty bag as well, because I am so in love with this one. I really like the color and the polka dots. And who doesn’t love those beautiful eyes? 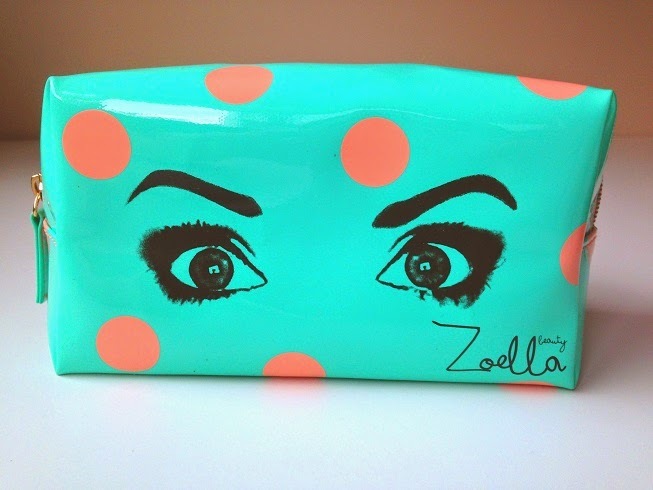 The size is pretty big actually so you can fit lots of make up in it. Unfortunately my make up brushes don’t fit.. But I am thinking of using it to organize my purse. So this is all and I have to say. Well done Zoe! Also the pricing is totally acceptable with the body mist being the most expensive at €12,35. I don’t know if I will repurchase any of the products but they were fun to test and an eye catcher never the less. Omg. They all look so amazing. I would love to try them, bc I love Zoe.